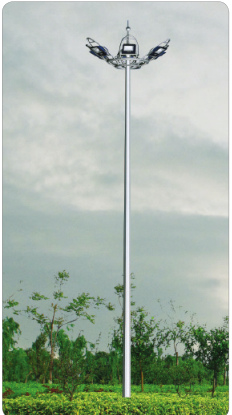 We can normally fulfill our respected consumers with our great excellent, great value and good provider due to we're much more specialist and extra hard-working and do it in cost-effective way for High-Mast Lamps Series,High Mast Lamps,High Mast Light,High Mast Light Pole We have a big inventory to fulfill our customer's requires and needs. 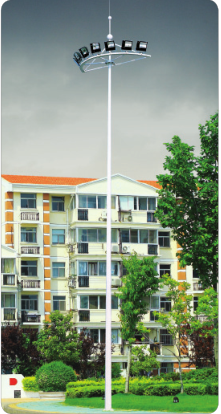 The High-mast Lamp is generally refers to the new lighting device which is composed of the steel taper light pole and the high power combination lamp frame of 15 meters or above.It consists of lamp holder, internal lamp, electric rod body and basic part.Lamp head modelling can according to user requirement, surroundings, lighting need specific and definite;The interior lamps are mainly composed of floodlights and projection lamps. The light source adopts NG400 high pressure sodium lamp, and the lighting radius is 60 meters.The bar body is usually a pyramid structure, which is made of steel plate, with a height of 15 to 40 meters, which consists of two to three sections. 1. Beautiful appearance, large lighting area, good lighting effect, concentrated light, uniform illumination, small glare and easy to control and repair. 2. Applicable places: city square, station, wharf, highway, stadium, overpass, etc. 3. The lamp pole is a high quality steel plate by moulding into a multi - pyramid splicing steel rod, through hot galvanizing anti-corrosion treatment. 4. The lamp frame is made of high quality stainless steel. 5. Fasteners bolts and nuts are stainless steel. 6. Light source:400W-1000W sodium lamp. Suit for: highway, expressway, parkway, freeway, central motorway junction, truck and bus terminals, railyards, ship docks, airports, ferry terminals, prisons, industrial and commercial sites, international borders. Surface treatment: Hot dip galvanized Following ASTM A 123, color polyester power or any other standard by client required. Joint of Poles: Insert mode, inner flange mode, face to face joint mode .